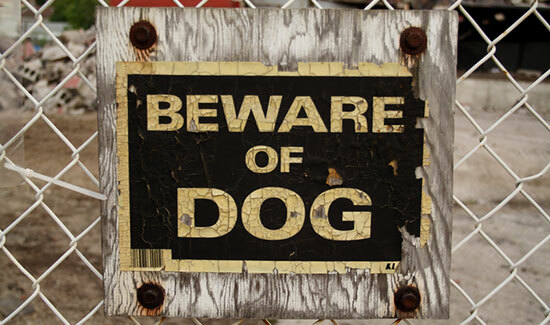 Sometimes it doesn't matter whether dog owners are following the leash laws and other dog restrictions of their given state or county - even good dogs can bite and cause injuries. At our law firm, we love dogs. But we also know the devastation caused by dog bites -- we've seen it firsthand. These injuries can be life-changing, result in piles of medical bills, and require future surgeries. That's why we're here to help you if you've been hurt by a dog. We've been helping people just like you for over 35 years. We've seen all kinds of dog bite accident cases and we understand how dog bite law works. If you've been injured by a dog, you need experienced dog bite lawyers to help you navigate the legal system. At our law firm, we don't just talk the talk - we also walk the walk. Read the following client results to learn about our extensive experience helping dog bite victims fight for the compensation they deserve. Our client, a 2-year-old girl, was playing with a family friend's dog when she was attacked. This was after she and her father were told that the dog was friendly. The little girl was immediately taken to the emergency room for treatment. She sustained two large cuts on her face that had to be closed, and multiple severe puncture wounds. Unfortunately, when her wounds became infected, she required treatment with topical antibiotics as well as oral antibiotics. Due to this dog attack, our client has permanent scarring on her face and will have to undergo scar revision when she is much older after her skin has matured. In the meantime, she must live with the scars and the mental trauma her dog attack left behind. Edgar Snyder & Associates settled her case out of court. Our 13-year-old client was chased down a city sidewalk by a barking 150-pound dog that wasn't properly leashed. In a panic, the boy tried to cross the street to get to his home. During his attempt to escape, he was struck by a car. A lawsuit was filed and during the litigation of the case, our attorneys uncovered a police report that documented a previous encounter that occurred several months earlier, where the very same dog had gotten loose and chased another person. While our client was not bitten by this dog, the dog owner was found to be responsible for the boy's accident. Edgar Snyder & Associates filed a lawsuit and settled the case a few days before the trial began. Our client, a 60-year-old secretary on her way to catch her morning bus to work, was attacked by two dogs. The dogs had escaped from their enclosed yard by climbing over a stack of firewood piled against the fence. The two dogs chased the victim down the sidewalk, jumped on her back, and knocked her down. The attack fractured her ankle. The dogs remained over her on the ground, barking and growling. Our client was rescued by bystanders who witnessed the attack and got out of their cars to help. While the victim was not bitten, the dog owners' were liable for the attack and the woman's injury. Edgar Snyder & Associates tried the case and the jury awarded a verdict for our client. Our client, a 10-year-old girl, was a guest at a friend's backyard picnic. While playing ball with a group of children, the ball rolled near a dog house, where the owner's dog was tied on a 15-foot chain. The girl, not expecting the chain to be that long, attempted to retrieve the ball. The dog attacked her, biting her on the hand, foot, and leg repeatedly. Then the dangerous dog dragged her several feet towards his dog house. The other children rescued her by striking the dog with sticks and bats. She required multiple surgeries on her foot and leg. Edgar Snyder & Associates settled the case out of court after filing a lawsuit. Our client, a 4-year-old boy, was attacked in his driveway by a dog. The dog was owned by the landlord. The landlord, while near the dog, did not have the dog on a leash at the time of the attack. The boy was bitten in the face and lip, and suffered permanent scarring and irregularity of the lip. A lawsuit was filed. Depositions, statements under oath from the dog owner and his neighbors, revealed that the dog had attacked and bitten another child in the face one year prior to our client's attack. Edgar Snyder & Associates settled his case out of court. Our Pennsylvania attorneys know how to handle all types of dog bite accidents. Our law firm has won and settled cases for people just like you - people who want to get on with their lives in the best way possible. We can't make your dog bite injuries go away, but we can help you get the compensation you deserve. If you've been attacked by a dog, don't let medical bills, lost wages, and other expenses pile up until it's too late. Contact our law firm today for the help you need. Get started right now by taking advantage of our free legal consultation.